Known by locals as “The Edge of America,” Folly Beach provides an escape from everyday living, yet is still less than thirty minutes from Downtown Charleston. Residents of this destination vacation spot intermingle with the year-round tourists, contributing to the overall easy going, good time Folly Beach vibe. If you want to spend your sunny afternoon in a laid-back environment, this is the place for you. The local restaurants are no exception to the mellow vibe that surrounds the island. Folly, as the locals call it, is home to the original Taco Boy, delicious delis and relaxing outdoor dining. The Surf Bar is one of the most visited restaurants on the beach, with the option to sit outside on their wooden porch or inside to escape the heat. Make sure to order a Painkiller and sip your way into bliss. The island is not all about being lazy, it offers many activities like fishing, camping, parasailing and surfing. The beach is always open to the public. so bring a volleyball or surf board and experience the one of a kind Folly Beach. Like most of Charleston, Folly Beach has an interesting history. Ask the locals about the town’s ghost stories; they will not disappoint. It is said that many sick and dying who were traveling by ship were left and then buried on the island. To learn more about this charming island make sure to visit the official site for the City of Folly Beach. Those who choose to purchase property on Folly Beach become members of this quaint seaside community consisting of just over 2,600 full-time residents occupying the 18.6 square miles (12.3 miles of which are land). Folly Beach is located in Charleston County and is within a comfortable commuting distance to downtown Charleston. People who purchase property on Folly Beach enjoy a number of nearby amenities, such as spending a day fishing off of the second longest pier on the East Coast or biking to the northern end of the island for scenic views of the circa 1876 Morris Island Light House. There is no shortage of commercial comforts for residents of Folly Beach who have ample opportunities for shopping, dining, live music and nightlife. Folly is a fun but safe place for its residents with 13 police officers and 12 volunteer fire fighters dedicated to the small island. Parking is always an issue since this is such a great beach spot, but residents are given two parking decals which is a highly desired amenity. Whether a personal home or an investment property, the market for these homes remains strong! 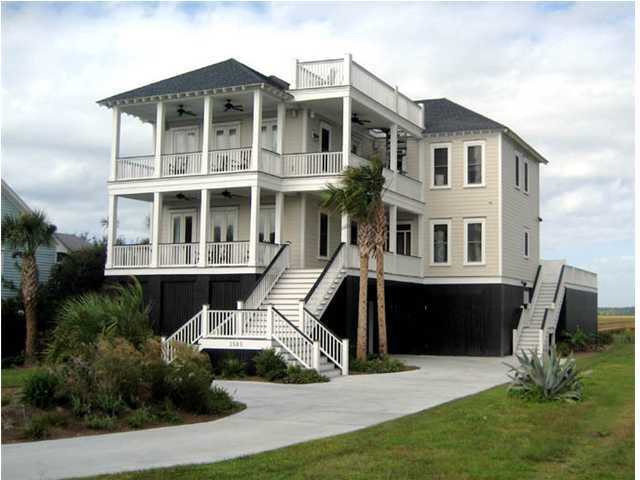 It’s a fantastic time to purchase a home on Folly Beach! There is always something happening on Folly Beach! Visit this frequently updated calendar of events to stay in the know.